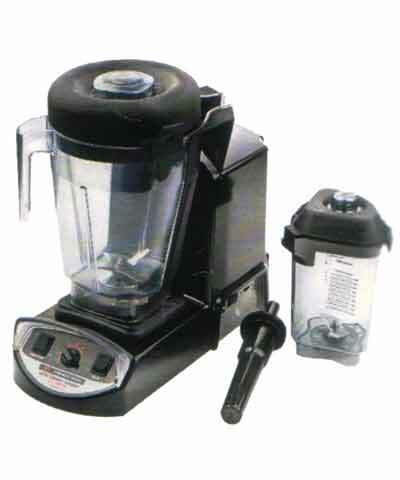 Introducing the Vita-Mix XL � a premium blender featuring a powerful 4.2 peak horsepower motor and unparalleled 192-ounce real blending capacity. The XL�s design allows for reduced prep time and increased efficiencies, as you can now create multiple servings in one batch (up to twenty-four 8 oz. servings), while making preparation faster by reducing unnecessary chopping. With its variable speed and pre-programmed timed cycles, as well as a pulse function for any selected speed, the XL allows for expanded menu and meal options never before considered. The high-performance blade design provides a superior blend with consistent results and improved taste and nutrition, and clean up is a snap with the XL�s ergonomically designed container.